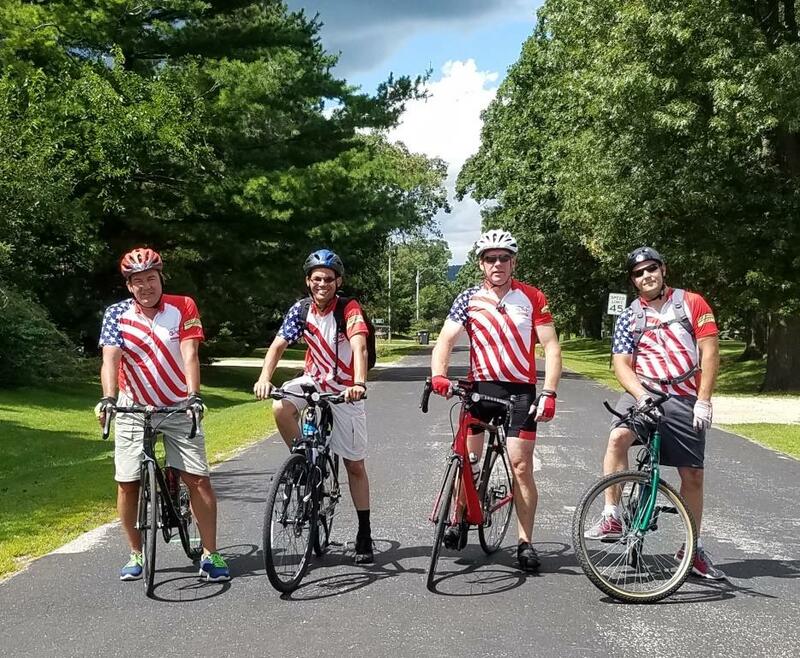 Grunau Cycling Club Evolves | Grunau Company, Inc.
Employees wanting a fun way to exercise this summer have joined the Grunau Cycling Club. It’s as much a social gathering as a healthy activity. Both men and women meet every Thursday evening after work at a designated bike route. The gathering is open to whoever wants to ride, whether it is once a month, once a summer, or every week on a consistent basis. 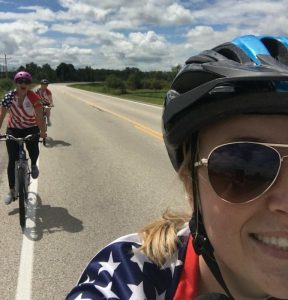 Earlier this spring, a few employees started meeting to ride bikes after work. As word got around, more people became interested so they formalized into a weekly “Grunau Bike Night”. When the hot summer days made thirsty riders, a stop at a Beer Garden was added afterwards. 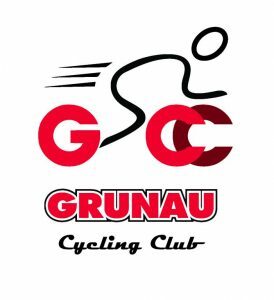 Then special shirts were purchased for the charitable EUA Beyond Design ride, so the Grunau Cycling Club name & logo evolved. The usual bike route is on the Oak Leaf Trail along the Root River in Franklin. They’ve toured eastern stretches of the Oak Leaf and Hank Aaron state trails along the Lake Michigan lakefront as well. Going digital, riders can use the Strava app to track where the faster and slower riders may be along the route. The app also allows people to catch up to other riders if they left the workplace later than others. One of the regular bicycle riders, Tim Kaebisch, says, “It’s been great interacting with fellow coworkers outside of the office environment. And we’re getting a good amount of exercise at the same time”.